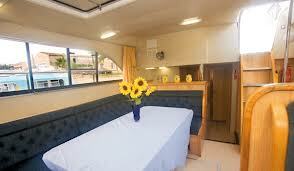 A beautiful boat with a stylish interior and sleek exterior. 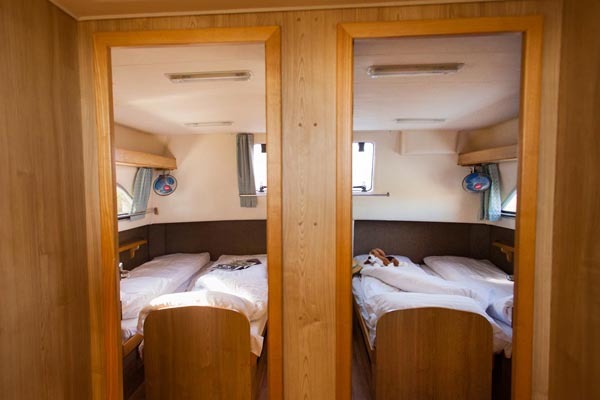 Two rear cabins, each with two single beds convertible into one double bed. 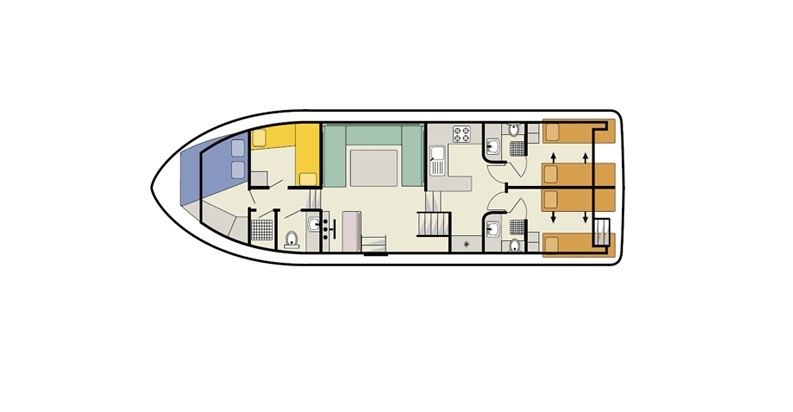 Two forward cabins, one with double bed and the other with two cross over single bunk beds. Spacious central saloon with steering position, CD player and access to the outside decks. Two showers, two toilets and washbasins. 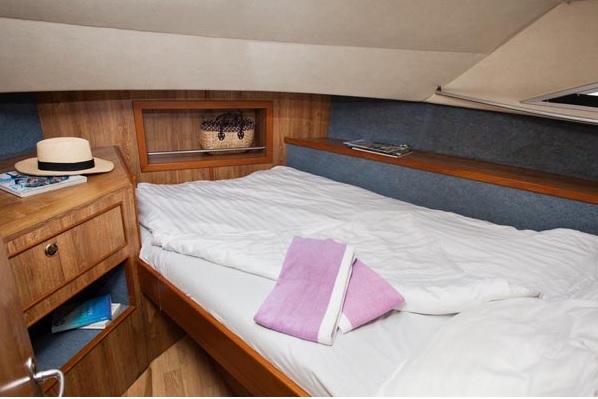 Central spacious saloon with steering position, CD player and access to the outside decks. 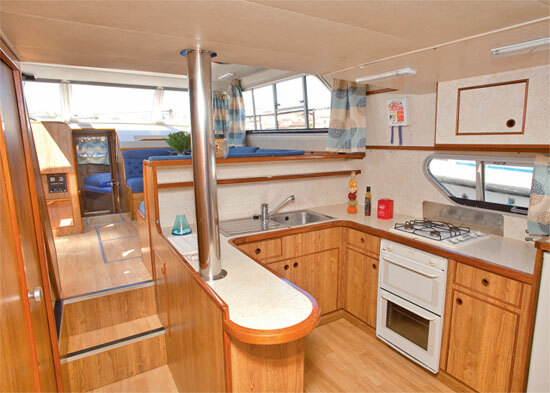 Top sundeck with steering position and access to the saloon.